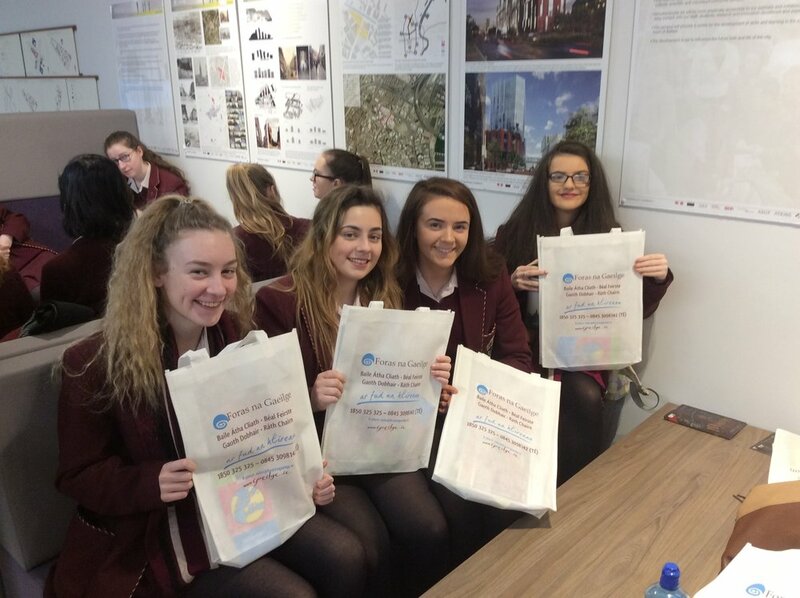 A-Level and GCSE students were joined by prospective Year 10 business pupils on a successful trip to Butler's Chocolate Factory and Tayto park. A tour of the chocolate factory enabled students to see batch production in action, which was followed by individual production of our own Easter eggs, followed by an Easter egg hunt. We then headed on for a lecture on marketing and merchandising at Tayto Park, followed by a tour of the factory, and plenty of time to experience the roller coasters! On Saturday 25th March, five GCSE Music students and Mr McNeill attended an evening of solo piano music delivered in the beautiful surroundings of the Duncairn Arts Centre in North Belfast. The English pianist, Matthew Schellhorn, performed sonatas by Haydn, Beethoven and Ravel, and premiered a fascinating new work by Belfast- born composer, Ian Wilson. The girls left the concert feeling totally inspired by the pianist’s amazing technical ability and the great musicality which shone through in every phrase of his performance. Our thanks to the Living Youth team who visited pupils undertaking the John Paul II award and Alpha programmes as part of their Faith in Action classes. Conor McCarthy the team leader explored pupils’ faith volunteering and offered guidance in what the pupils can do next. 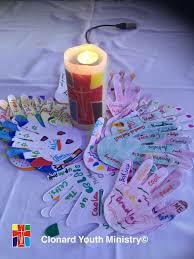 A number of students have already planned the next step from the Youth Alpha programme, the ‘Light the Blue Touch Paper’ programme also organised by Living Youth. It is great to have so many St Dominic's pupils exploring their faith and actively contributing to their parish communities. You can find out more about Living Youth by visiting their Twitter and/or Facebook accounts or their website. The photographs show a number of pupil participants hard at work! The World Games are held every two years and the 2017 summer games are to be held at the University of Guelph in Canada. The team ofpupils organised a cake sale in school, successfully raising £188. Here we see a number of the team receiving Challenge Award certificates for their generous action. Students from the Department of Government & Politics took part in a discussion event this week with award winning broadcaster Stephen Nolan. Stephen asked to speak with the girls as part of the research he is doing for a new show. He was extremely impressed by the quality and eloquence of the students as they tackled the main issues of the day. Many thanks to Stephen for giving the girls this opportunity. Six budding entrepreneurs from Year 13 AS Business Studies took part in the Build a Bank Challenge by setting up their own bank in school. As part of the challenge, they had to come up with an innovative theme that would promote their bank and encourage young savers. Their slogan "save your money, save your mind" gives an insight into their strategy, which was to promote mindfulness and wellbeing in our school community. When opening a bank account with our school bank, customers would receive a goody bag including top tips on how to look after your mental health as well as free zumba lessons. 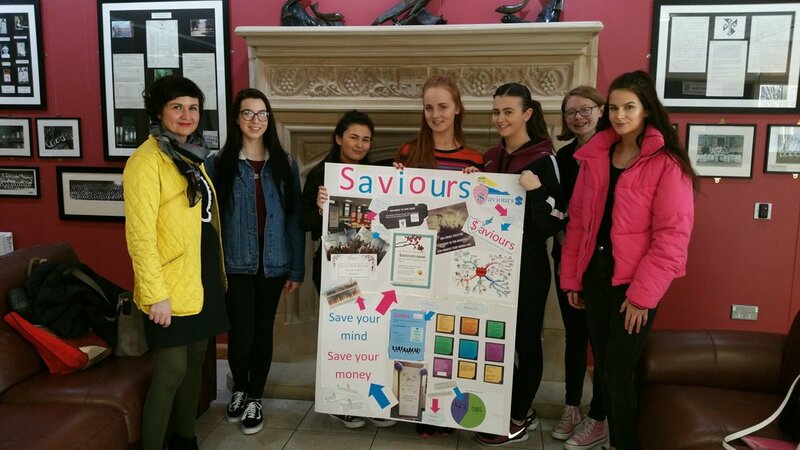 The team attended the regional final in Monaghan to present their strategy and dressed as super heros to promote their company name "$aviours". On Friday 3rd March 2017, the AS Level Irish class attended a conference on exam preparation. The event was held in the University of Ulster, Belfast. The girls attended workshops on the listening, speaking, reading and writing elements of the AS exam and were shown exam techniques which will be of great benefit to them in their upcoming exams. Each girl was also given a set of exemplar questions to help them with revision. A great day out was had by all! At the heart of our joint Retreat programme with Clonard is the creation of a welcoming, caring and safe environment that encourages participants to explore their faith. A wide range of techniques and activities are used to provide an enjoyable and stimulating experience. The Year 9 activity programme is designed to encourage the participation of all students and to raise their self-esteem. The views and creativity of all pupils are valued and celebrated. Teamwork, leadership and communication skills are also developed.